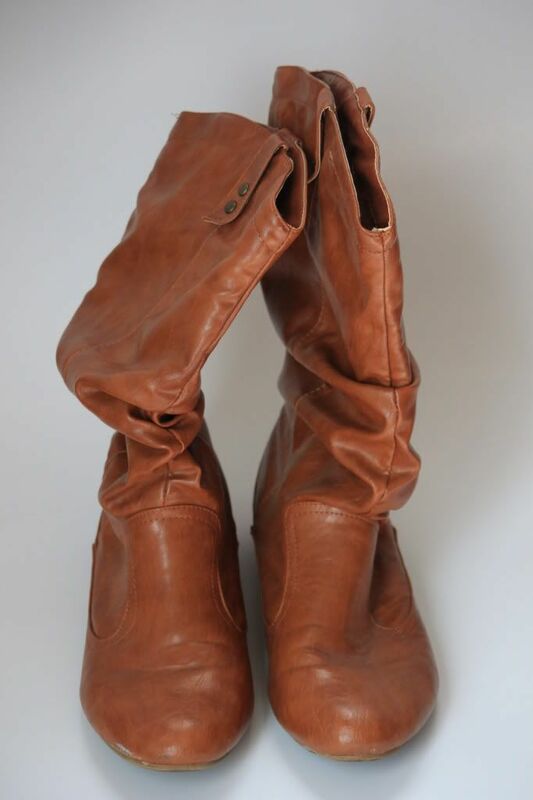 Brown slouchy boots IN MY SIZE. If you LOVE something ( I loved the skirt) and it is a great price ($3) but it is TOO big (or too long..) have it altered...and Ta-DA! If you have sewing skills I am jealous! I would be making much bolder purchases if I knew how to do my own alterations. I love it! Thanks for the tip!!!! I'm alll about that skirt! Great find! It is so not hard to learn how to sew! Girl, teach yourself! We have YouTube for that now haha. those boots are every thrifter's dream. amazing!!! great finds! Hi Lindsay. I think I had a necklace similar to that when I was a teenager. It's so cute. A woman of your talent would have no problem in altering that skirt. It's as easy as pie. There are so many blogs out there too that show you how to refashion your wardrobe. This one is pretty good. Um I love that necklace and boots! I love all your thrifting finds. The skirt is so cute. 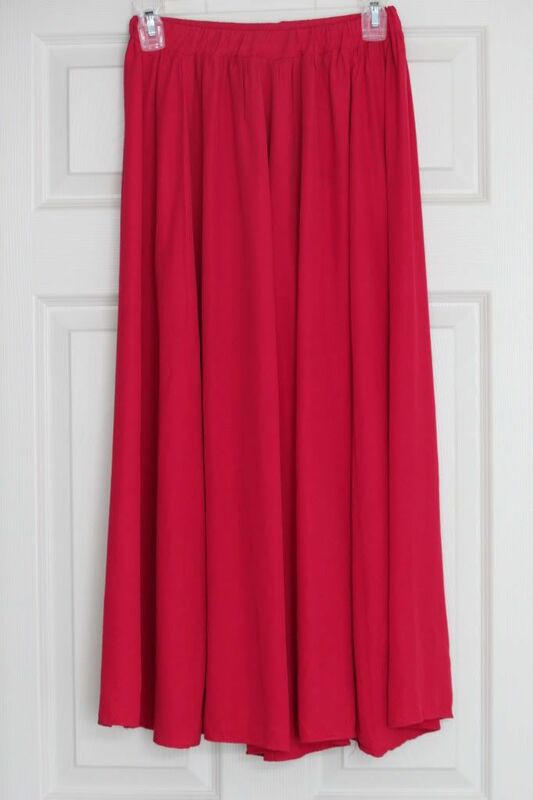 I've been on a hunt for a long red skirt that would fit me. Yeah, I have clodhopper feet, there's no way I could cram into them, I'm sure. Love that maxi skirt! and only $3 ?!!! SOLD!! That skirt is amaze! Great find! Loving the maxi skirt! The color is fab! Those boots are an awesome find! Lucky you! hi lindsay wow great finds!! and your profile pic i love that dress at forever 21, i have been tempted to buy it myself it looks super cute on you! i'm posting the yellow dress tomorrow, blogger got a bit ahead of me! true. i love all the pieces you bought. so cute! i'm lucky cuz my mom will tailor things for me. i love her! I love thrifting! The other day I thrifted 25 pieces of clothes for $50. I'll have to do a post like this sometime, what a great idea. those boots look like they are brand new?!! Love that necklace! What a great find! finding shoes and especially boots in my size is darn near impossible when i go thrifting. i'm very impressed! Wow Lindsay those are such cute finds!!! I want those boots - and how lucky that they're in your size too! Your skirt is an amazing colour. Big fan of your boots, I have a scary-large collection of tan boots - bit of an obsession! Get yourself a sewing machine, seriously, you'll be suprised how easy it is to sew, I've been sewing less than a year, and its opened up so many doors in thrift purchasing! Am in love with that skirt. Great color! Wow you found those amazing boots in your size?? That's amazing! I can never find my size in shoes! I have a similar pair of brown boots, which I purchased about 2 yrs ago & I paid WAY to much for them...they are Steve Maddens but are already looking very worn :( Would have loved to have found a thrifted pair like you! Great boots!! Even though I know how to sew a little I still worry about buying something that I have to alter! great finds! The skirt has a lovely color, and the boots are so chic! Those slouchy boots are EXACTLY what I've been on the hunt for! They're the perfect color, style, height.... So jealous. All these are amazing. 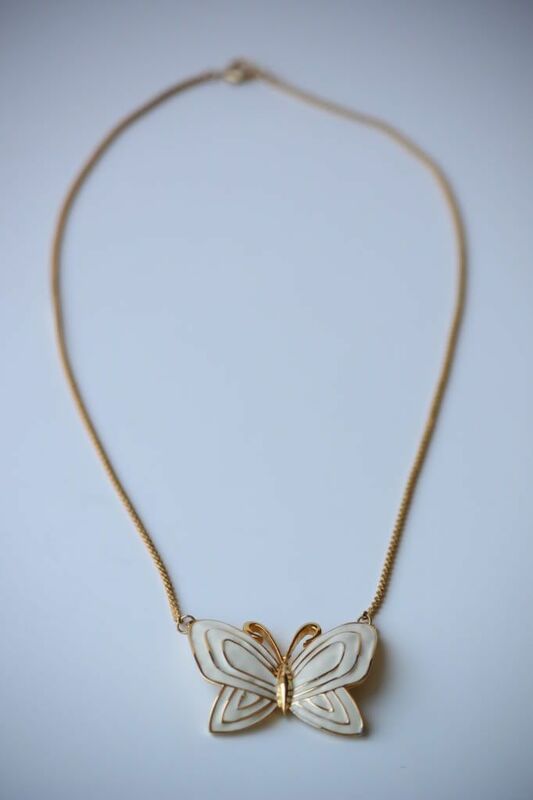 That butterfly necklace is so beautiful. You are such a great thrifter!